Curious about Chorizo? It’s a wonderfully versatile Mexican ingredient and if it’s not part of your home kitchen yet it will be soon! First, don’t let the name overcomplicate things. Chorizo (or Mexican Chorizo) is simply sausage loaded up with some traditional Mexican flavors. 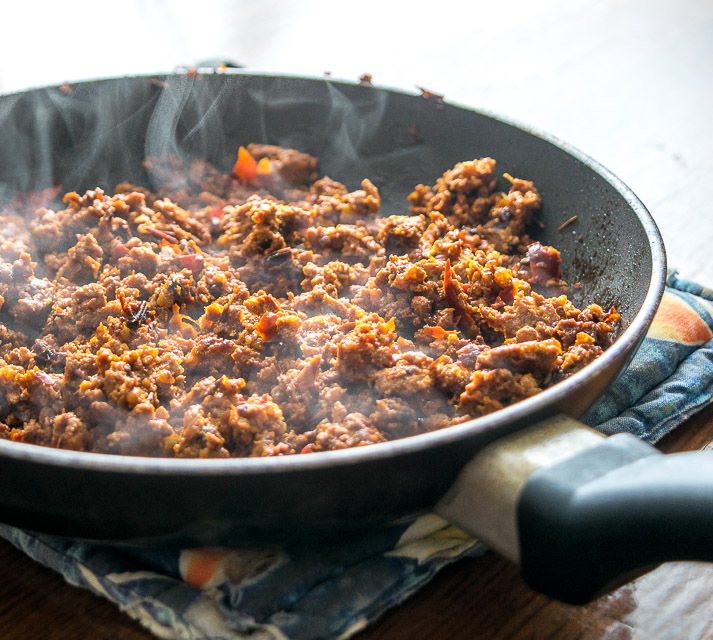 Grind up some chili peppers, add them to some pork sausage, and you’ve nailed down the essence of Mexican Chorizo. It’s a highly seasoned version of traditional sausage and it’s becoming more common in the States as people discover how tasty it can be when done right. What Is Chorizo Made From? You can usually identify Mexican Chorizo by its distinct reddish tint. That’s the dried chili peppers in action! Guajillo, New Mexican, and Ancho chili peppers are commonly used but there is lots of leeway on the exact chili pepper combo. We have a homemade chorizo version that uses Ancho and New Mexican chilis. You’re essentially just reconstituting the dried chilis, grinding them up and adding them to the pork along with some spices. Simple right? What’s The Difference Between Spanish and Mexican Chorizo? 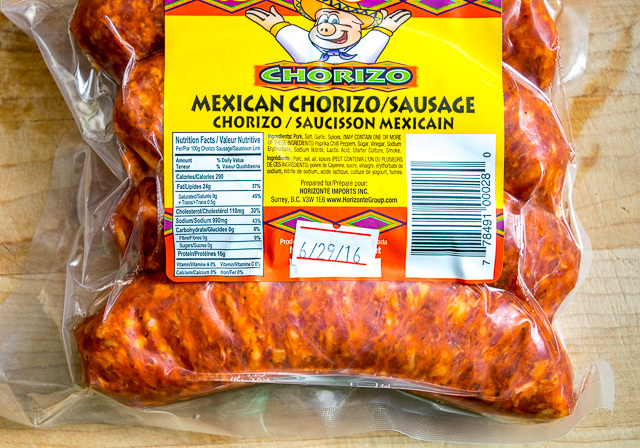 Mexican Chorizo is typically sold fresh, i.e. uncooked. Spanish Chorizo, on the other hand, is a dried, cured sausage that will frequently be flavored with paprika. It’s a different bird altogether and it’s NOT a good substitute for Mexican Chorizo. A better substitute for Mexican Chorizo would be traditional pork sausage along with a dose of Mexican spices. I usually cook Chorizo using one of two methods. First, if you are buying links, you can plop these in a 400F oven and they’ll be done in approximately 15-20 minutes. Cook until the center is no longer pink or until it registers 150-160F on a kitchen thermometer. 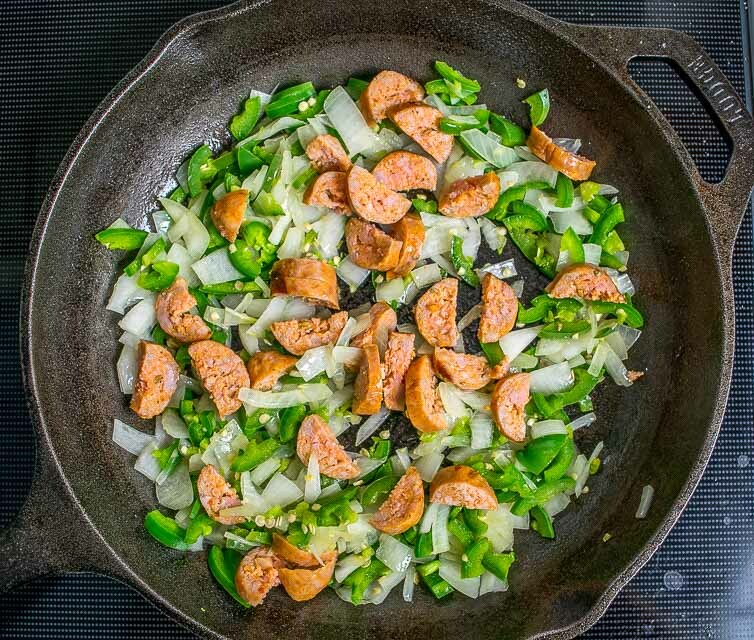 Or if the sausage is not in links, I will simply add it to a skillet and cook over medium heat until no longer pink, approximately 8-10 minutes. You can break it up into smaller bits using a spatula, turning regularly. What Are Some Chorizo Recipes? I use Chorizo in a wide variety of dishes. 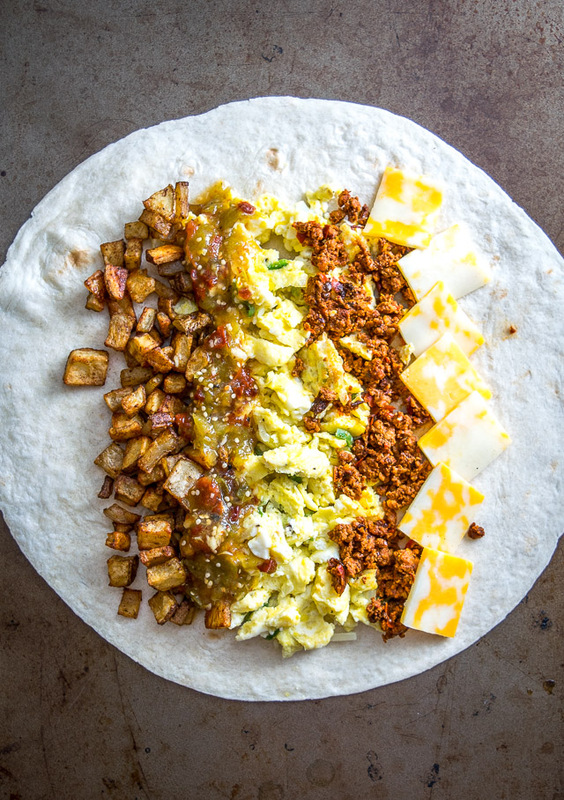 It works wonders in breakfast dishes so you’ll see it pop up in our Chorizo Breakfast Burritos. And in our Mexican Frittata. 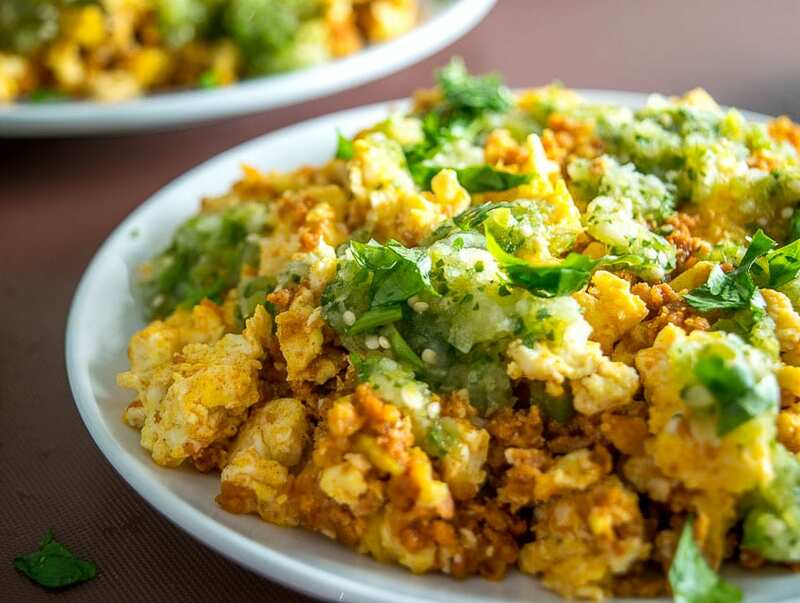 We also use it in our Chorizo and Eggs (with Homemade Salsa Verde). 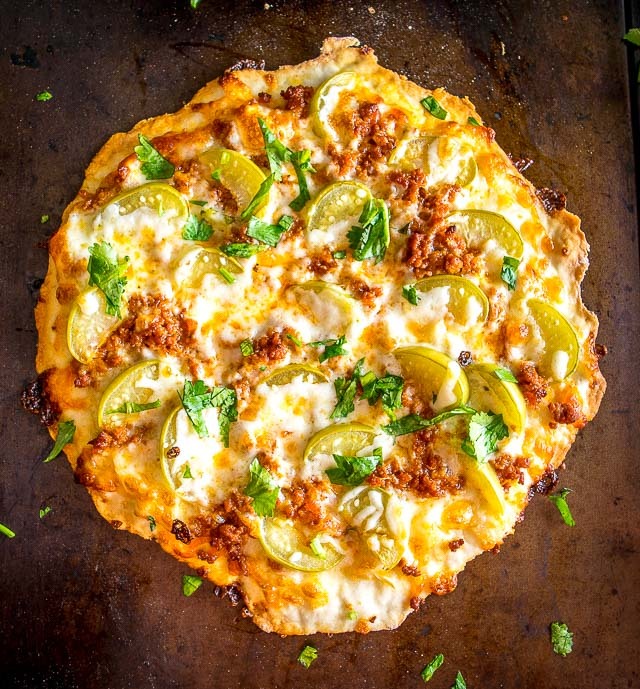 And even in this delicious Pickled Tomatillo and Chorizo Pizza. And don’t forget that you can use Chorizo to flavor your Picadillo or Charro Beans. You can store Mexican Chorizo as you would any other fresh meat — covered and kept in the fridge until you need it. If I have extra chorizo links on hand I will sometimes freeze them to extend their life. I put them in individual sandwich bags and then add them all to a larger freezer bag. To thaw, grab as many individually wrapped links as you need and plop them in a bowl covered in cold water. Okay, that’s the skinny on Mexican Chorizo. 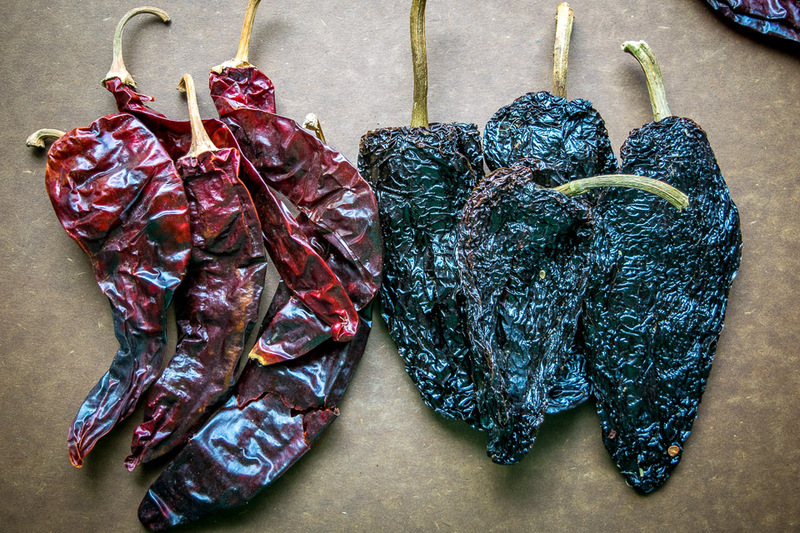 I use it all the time and it’s a great Mexican ingredient to add to your repertoire! If you’ve still got questions about it feel free to send me an email.